Carlton Francis McNally was born in 1886 in Oakdale MA. He moved with his family to St. Paul in 1902. Young Carlton worked for his father, a meat dealer until he was 18. He became interested in law at this time, and became a stenographer with the hope that it might help him get work in a law office. He was working in the law offices of O’Brien, Young, and Stone, where he continued his employment even after he enrolled in the St. Paul College of Law in 1907. He completed his legal education in 1910, and married Katherine McCann the following year. He then entered into his own law partnership with M.J. Doherty in 1912, which he continued until his was appointment as Corporation Counsel in 1920. From there he was appointed to the Ramsey County District bench in 1925. Judge McNally served a total of 34 years on the District bench. He was cited in the 1948 Minnesota Supreme Court case of Anderson v. City of St. Paul, et al (226 Minn.186) as the Judge in the District Court case from which Appellant sought to overturn a St. Paul Ordinance prohibiting women from working as bartenders. McNally also served a lengthy stint as juvenile judge, continuing even after he became the senior judge in 1949. In this capacity he dedicated much effort to making juvenile court what he called “corrective…rather than punitive.” McNally’s colleagues elected him the chief judge in 1957. A fit and active man, Judge McNally was known for making the daily 2-mile walk between his home and the Courthouse. He estimated in 1953 that he had trod roughly 50,000 miles over 42 years, with walks to Prescott (WI) Stillwater, Hastings, and White Bear Lake. 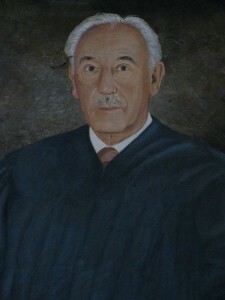 Judge McNally retired from the bench in 1959. Judge and Mrs. McNally took a 6-week Caribbean cruise in 1962. Returning, they stopped in St. Louis to visit their son. That was where the Judge suffered a heart attack and died shortly thereafter at the age of 76. Facebook, if not, no problem just let me know and I’ll delete it.